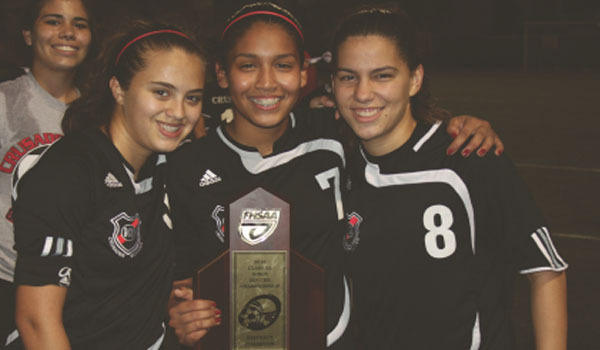 The Dade Christian girls’ soccer program focuses on player development by delivering a positive, high quality and enjoyable soccer education. The coaches instill a love for the sport in their athletes while preparing them to be competitive against their opponents. Most importantly, the athletes are taught the importance of discipline, teamwork, and displaying a Christian testimony. The girls are motivated to reach their utmost potential on and off the field. The Varsity girls’ soccer team is made up of 9th-12th graders (and sometimes Junior High students depending on their skill level). The availability of this program is completely up to the students. We would like to thank all Crusader soccer fans for their overwhelming love and support.